SPEEDS UP TO 75 M.P.H. A standard of excellence for Center Console or multi use open deck hulls, utilizing step hull bottom design. Our instructors personally guide each driver through advanced skills of handling these new hull types thru advanced skill training and terminal performance objectives. The operator will successfully handle water conditions, use proper trim settings, turning technique and safety issues. Each person receives a Certificate of Completion after successfully graduating from this course which is recognized or required by your insurance company. This is a one a half day course with on water skill base training. This is a must have course for the Performance Boat owner! SPEEDS UP TO 100 M.P.H. The gold standard of performance boating course. Our Instructors personally guides each student through advance skill training and terminal performance objectives required to safely operate the faster boats. For multi-step V Hull and Catamarans that operating at speeds above 75MPH limited to 125MPH. This course will teach you safety issues, step hull v bottom design, cat hull design, trim settings and tab settings for all water conditions, places you cannot turn, tab abuse, new five step turning protocol, recovery techniques, docking, maintenance, trailering, defensive driving maneuvers. This one and half day course with on water skill based training. The must have course for ultra-high speed performance boats. The certificate of completion will be given to every student who graduates from this course and this certification of completion is recognized or required by major insurance companies in the US. SPEEDS FROM 75 – 125 M.P.H. The Platinum standard of performance boating course. Our Instructors personally guides each student through advance skill training and terminal performance objectives required to safely operate the fastest boats. For multi-step V Hull and Catamarans that operating at speeds above 125MPH plus. 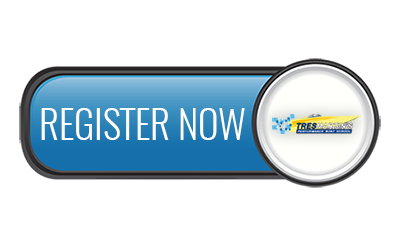 This course will teach you safety issues, step hull v bottom design, cat hull design, trim settings and tab settings for all water conditions, places you cannot turn, tab abuse, new five step turning protocol, recovery techniques, docking, maintenance, trailering, defensive driving maneuvers, how to safely maintain control at high speed and proper de-acceleration techniques. This one and half day course with on water skill- based training. The must have course for ultra-high speed performance boats. The certificate of completion will be given to every student who graduates from this course and this certification of completion is recognized and mandatory by major insurance companies in the US. 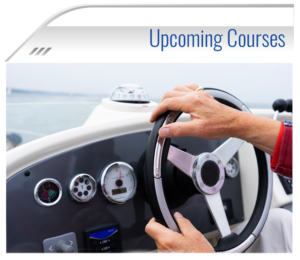 For sport yachts and cruisers 42 feet and longer, this course teaches basic and advanced skills for safely maneuvering your big boat around the docks and out at sea. The combined skill and knowledge of Tres Martin and Brad Schoenwald bring a completely unique perspective on all vessel operations. The continued training requests from the U. S. Navy’s Special Operations Forces demonstrate the value of our customized, skill-based training protocols. We have demonstrated our ability to show measurable enhancements and improved operation through established training methods. We work closely with each agency to determine mission objectives and then select the advanced skills required to meet those mission objectives. We are able to show measurable improvements in operation, capabilities, and survivability of the water craft, operators, and cargo. Additionally, because of our close relationship with Mercury Racing we have been able to identify root cause to equipment failures that were linked to improper operation, boat design, construction as well as incompatibilities of equipment.